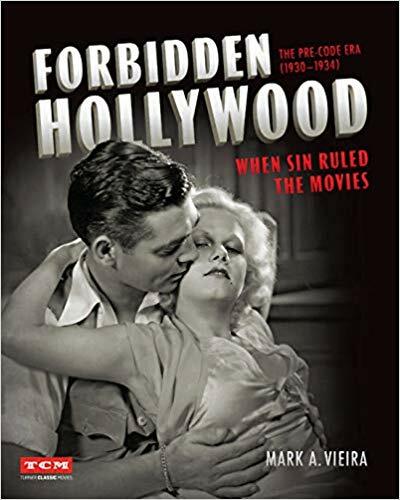 ...The latest book published by TCM and Running Press will be FORBIDDEN HOLLYWOOD: THE PRE-CODE ERA 1930-1934 by Mark A. Vieira. 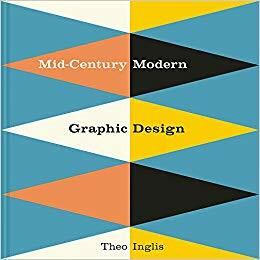 Vieira has written other excellent, lavishly illustrated books including HARLOW IN HOLLYWOOD and HOLLYWOOD DREAMS MADE REAL: IRVING THALBERG AND THE RISE OF MGM so I feel confident this book will be another good one. ...It was announced last week that Billy Crystal will be honored at a hand and footprint ceremony at the Chinese Theatre during this year's TCM Classic Film Festival. 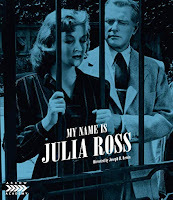 ...Coming soon: A review of the new Arrow Academy Blu-ray of MY NAME IS JULIA ROSS (1945) starring Nina Foch. 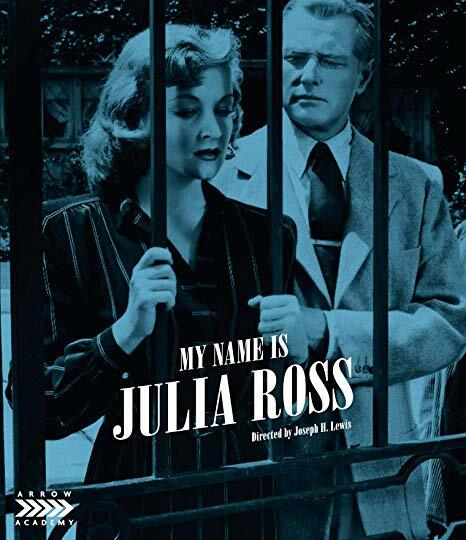 Extras include a commentary track by Alan K. Rode of the Film Noir Foundation. Arrow Academy is also releasing a Blu-ray of SO DARK THE NIGHT (1946) with a commentary by Farran Smith Nehme and Glenn Kenny. ...No conversation candy hearts this year for Valentine's Day?! ...Kim of GlamAmor has shared pictures from her tour of the Oakridge Estate, once the home of Barbara Stanwyck and later the home of Jack Oakie. 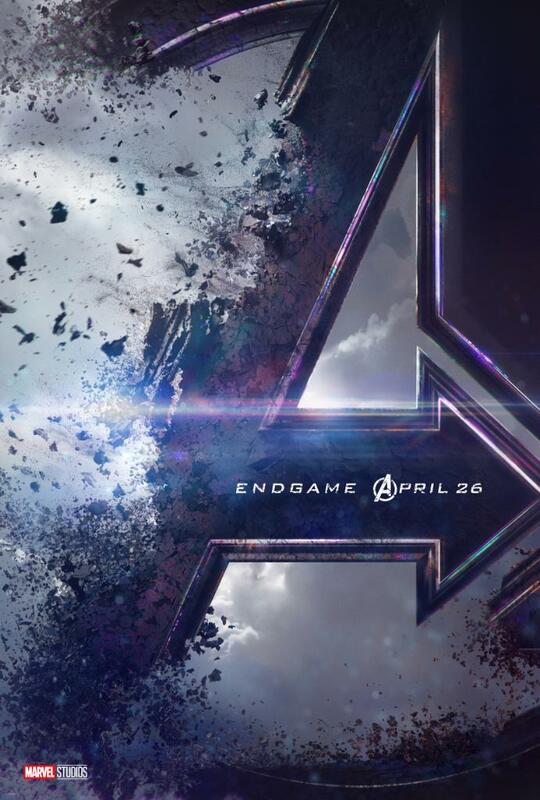 ...Trailers were recently released for two of this year's most anticipated movies: AVENGERS: ENDGAME (2019) and FAST & FURIOUS PRESENTS: HOBBS & SHAW (2019). I burst out laughing at Dwyane "The Rock" Johnson's line in HOBBS & SHAW: "I'm trying to save the world, which for the record will be my fourth time." Can't wait to see both of them! ...A few days ago I revisited IT CAME FROM BENEATH THE SEA (1953) starring Kenneth Tobey and Faith Domergue. What a fun movie! The first time I saw it I hadn't yet seen Tobey in THE THING FROM ANOTHER WORLD (1951), and I feel having seen that in the intervening time gave me a whole new appreciation of him in IT CAME FROM BENEATH THE SEA. 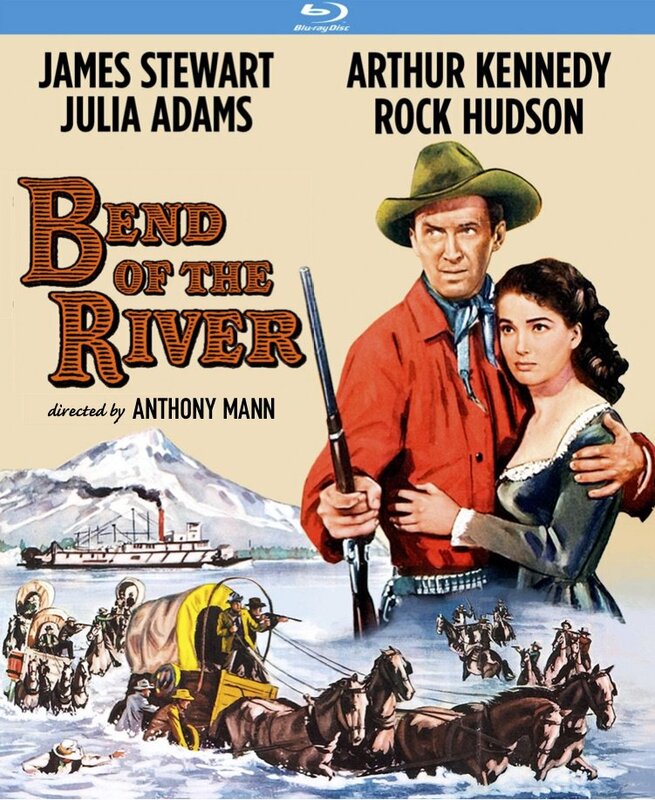 ...I'm excited about the April release of an all-time favorite Western, BEND OF THE RIVER (1952), starring James Stewart and Julie Adams, who just passed away. The Kino Lorber Blu-ray will include a commentary track by Toby Roan of 50 Westerns From the 50s. ...Last month Raquel posted her latest list of upcoming classic film books at Out of the Past. Raquel puts a great deal of work into these lists, and I always find new treasures I didn't know about! ...Olivia de Havilland's lawsuit against FX has come to an end, with the Supreme Court denying review of the case last month. 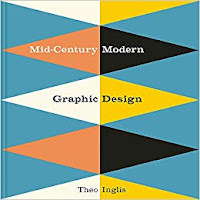 ...Great-looking Mid-Century-themed books coming this spring: THE MIDCENTURY KITCHEN by Sarah Archer and MID-CENTURY MODERN GRAPHIC DESIGN by Theo Inglis. Both are due out on May 7th. ...Also coming in May, from America's Test Kitchen: SPICED: UNLOCK THE POWER OF SPICES TO TRANSFORM YOUR COOKING. It's due out May 14th. I've recently been cooking from America's Test Kitchen's THE BEST MEXICAN RECIPES and highly recommend it. ...Hallmark has made its first announcements regarding this year's Christmas movie season. 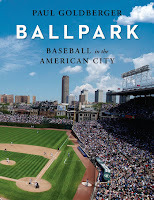 ...My fellow baseball fans may be interested in BALLPARK: BASEBALL IN THE AMERICAN CITY by Paul Goldberger, published by Penguin Random House on May 14th. ...Attention Southern Californians: A reminder that classic animated Disney films are playing at the El Capitan Theatre in Hollywood through March 3rd. Details may be found in my post...The Art Theatre on 4th Street in Long Beach will be showing SUNRISE (1927) on Valentine's Day, February 14th. ...Notable Passings: Two significant figures in the world of classic film have passed on: Documentary filmmaker Nick Redman, who was also the cofounder of the Twilight Time Blu-ray label, has died at 61, and Ron Hutchinson of The Vitaphone Project has passed on at 67. Ron also wrote for Classic Movie Hub, as recently as last month; as a matter of fact, I linked to his CMH article on THE BIG TRAIL (1930) in my November roundup. 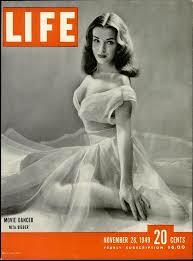 ...More Notable Passings: Dancer Nita Bieber has died at 92. She was in several films including MGM's SUMMER STOCK (1950), where she was bespectacled dancer Sarah Higgins. She also danced in KISMET (1955). She lived on Catalina Island off the coast of California for many years; here is a 2007 profile from The Catalina Islander...British actress Muriel Pavlow has passed on at the age of 97. ...For more links on classic movies and more, please check out my January 5th news roundup. Enjoy the weekend, and have a great week! Thank you for linking to my round-up! Those mid-century style books look like must-haves. You're very welcome, Raquel; thank *you* for sharing the great book lists with all of us!! Caftan Woman, I agree, they look great! Also, in response to a note from Lee since it may be of general interest, sadly it looks as though the MURDER, SHE BAKED mystery series on Hallmark has come to an end. Alison Sweeney has a new Hallmark movie mystery series, CHRONICLE MYSTERIES, starting on February 17th. 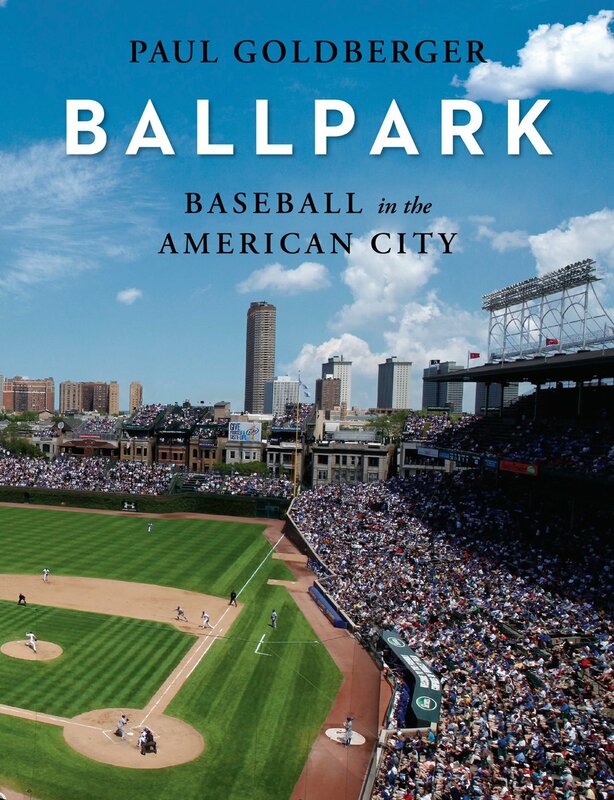 Oh no, I already have too many books, and now here's a whole slew of new titles to consider. In fact, the latest one to arrive was the MGM backlot book, which you must have mentioned fairly recently otherwise I wouldn't have been looking for it. I got it for a great price from thriftbooks (which in where I've found most of the tiki and Disney books that I've added to my library over the past couple of years). I've been wanted to revisit IT CAME FROM BENEATH THE SEA, too. Speaking of things in the TCM Festival orbit, I looked at the Warner Bros Studio website a few days ago and could have sworn they were offering the Classics Tour several times on that Thursday, but now there's only the 3:30 tour. Maybe the other times sold out. Anyway, I'm still considering it on that Wednesday based on your past experience. So many books, so little time (and shelf space!). I hope enjoy the MGM backlot book -- so many fascinating photographs! Now that I've revisited IT CAME FROM BENEATH THE SEA I hope to also rewatch Tobey in THE BEAST FROM 20,000 FATHOMS soon -- that one particularly enchanted me when I saw it at a sci-fi fest a couple years ago. It's possible that Warner Bros. will add extra tour times before and after TCMFF -- they have done that in the past! Hope you're able to do it.